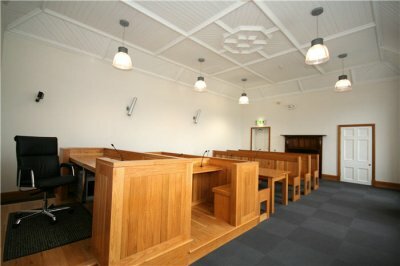 This project comprised of the refurbishment of the existing Courthouse and the construction of new Civic Offices. 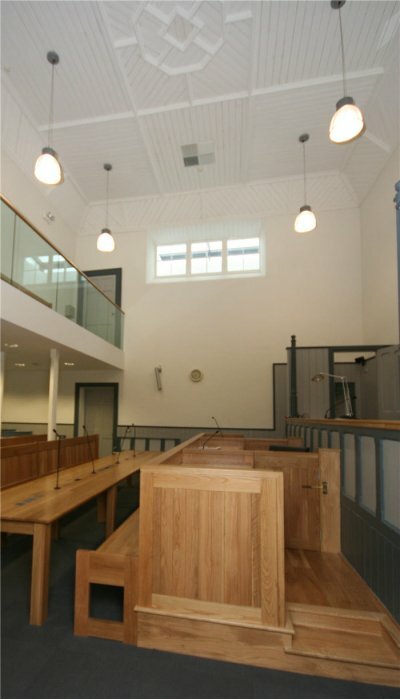 Works included new lime plaster to internal walls, new timber sash windows to original detail, restoration works to existing floors/timber stairs, restoration works to original furniture and seating to courthouse. 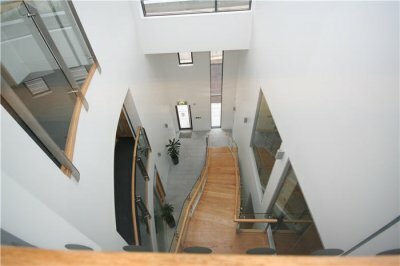 The fit-out of this area included a significant fitted furniture package, high class joinery doors and screens, painting, decorating and floor finishes. 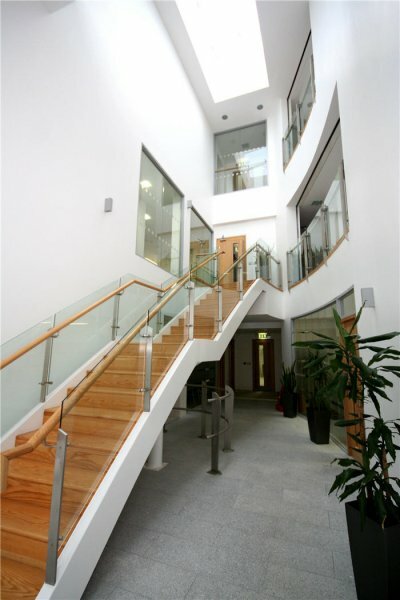 Glazed aluminium partitions were installed to office areas. 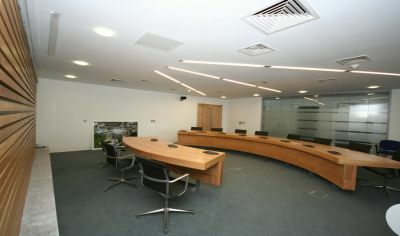 Fitted furniture included reception desks, and full fit-out to council chambers and meeting rooms. 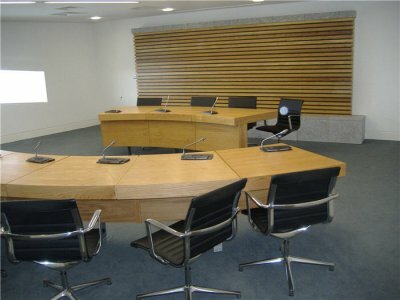 Audio visual equipment and data cabling were components of an extensive electrical and mechanical installation which necessitated comprehensive services coordination. 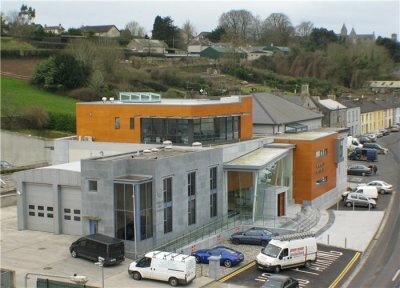 External features included parflex cladding and limestone cladding, planar glazing to entrance lobbies, steel stairs with glass balustrades and oak treads. The works necessitated close consultation with the design team and client in finalising end user requirements and providing a turnkey project to the highest standards.